It used to be that men didn’t have to worry about grooming – if you groomed too much – people would question your masculinity; now, however, good grooming habits are often a symbol of how successful and attractive a man is. It doesn’t matter if you get your haircut every four weeks or if you have a man bun, unfortunately, no one is happy with the ‘let it loose’ approach anymore. Confused? Have no fear! 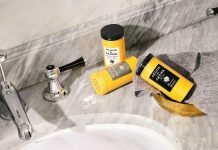 In this blog, Hairmop.com.au, Australia’s first and most advanced online hair loss treatment clinic, goes over the gentleman’s guide to daily and weekly grooming habits. Read on to discover tips for hair, toes and face – they’ll keep you in good stead. Pimples and blackheads are a bummer. To prevent the situation by using a daily face wash when you’re in the shower. Check out if your skin is oily, dry or somewhere in the middle? If it’s oily, you may want to get something with salicylic acid in it to break down sebum (the oils on your face). If you have dry skin, use a gentle cleanser with moisturizing properties. Never, however, however, use a face wash that makes your skin feel super tight afterward. That means the face wash is too strong and is likely making your skin over-produce oils to compensate from being harshly cleansed. If you’re unsure, talk to your nearest beauty counter-expert. They’ll definitely be able to point you to a firm favorite. As men, we’re pretty good about keeping their nails neat on our hands but for our toe-nails, it can be a whole other story. If you have a significant other or even just housemates, for their sake, trim your toenails. No one likes to see horny claws on feet. Similarly, if you’re noticing dirt accumulating under your nails, remove it with a nail brush, or better yet get a manicure. It might feel a bit weird at first, but it’s a small, relaxing step that can actually make a big difference to your appearance. Lastly, if you’re noticing your shoes are all starting to smell get rubbing alcohol and spritz it on. The disinfectant that should remove any bad smells. Otherwise poor nail grooming can lead to ingrown nails or nail fungus which can be difficult to treat! Ah body hair, we’ve all got it to some extent, however, should we let it run free or should we begin clipping? It’s up to you, of course, but at a minimum, some weekly maintenance of facial hair is always a good idea. For manscaping? It depends if you have a partner ask them what they prefer. If you have strong opinions of your own, stand by them. However, as a general rule, most women want it to be tidy and neat but not bare down there. So if you’re particularly hairy use clippers maybe once a month as necessary. If you like the hairless look, go for a wax. Just make sure not to use razors. Razor bumps on a man are painful and can make you look like you’ve got an STD going. At last, to the area, we all really care about. Our hair. For haircuts, it doesn’t matter if you have short or long hair, the trick to looking super polished is to figure out how many weeks it takes for you hair to start looking unkempt and then get regular trims before that happens. Don’t be afraid to get it cut regularly. Even if they cut it too short, it should bounce back pretty quickly because it’s healthy. Lastly, a hair supplement is a good daily routine to have. Science has shown taking supplements like biotin can have a positive effect on your hair’s growth. Take one every day with your morning coffee. If you have the bald gene in your family, there’s good news. Now you can get subscription services that prescribe anti-androgens for as little as $3 a day. Apply as directed and after a while, the hair shedding should stop as DHT is prevented from shrinking your hair follicles. As you can see, looking good doesn’t have to cost you an arm and a leg + time. If you use face wash and keep toe clippers in the shower, you can easily create hassle-free grooming that will keep you kempt and confident. Add a new habit one at a time and start to feel the positive gains. Previous articleWhy Should You Invest In GPS Vehicle Tracking Programs?